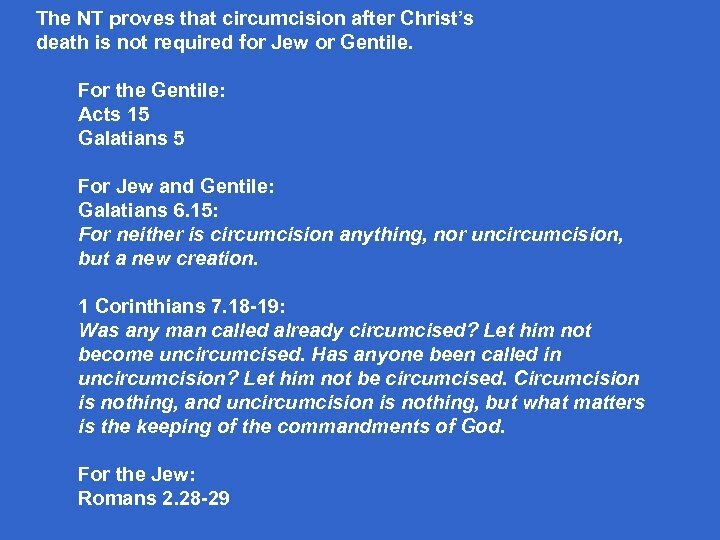 Are Christians today commanded to circumcise according to Gen. 17? No • Circumcision is the sign of the covenant. • Where ever the covenant goes, circumcision goes. • Each covenant heir is required to circumcise his household. 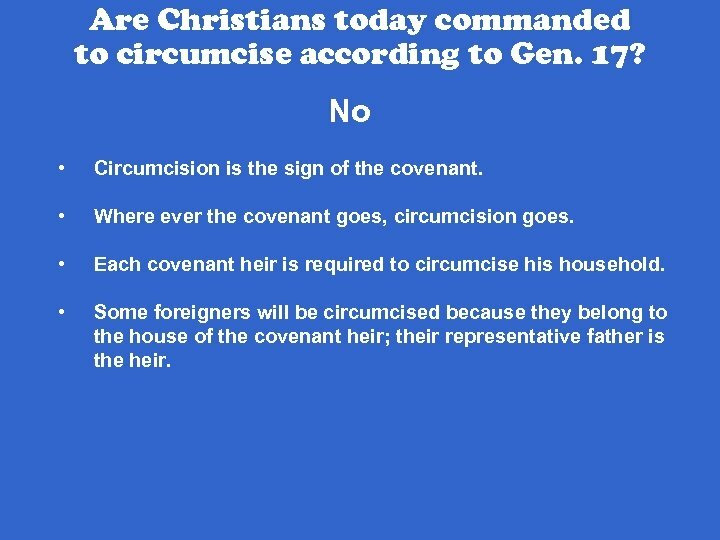 • Some foreigners will be circumcised because they belong to the house of the covenant heir; their representative father is the heir. 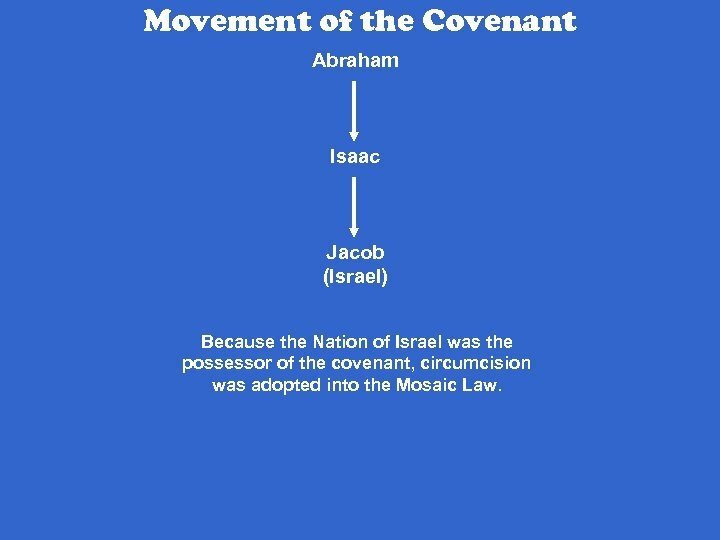 Movement of the Covenant Abraham Isaac Jacob (Israel) Because the Nation of Israel was the possessor of the covenant, circumcision was adopted into the Mosaic Law. 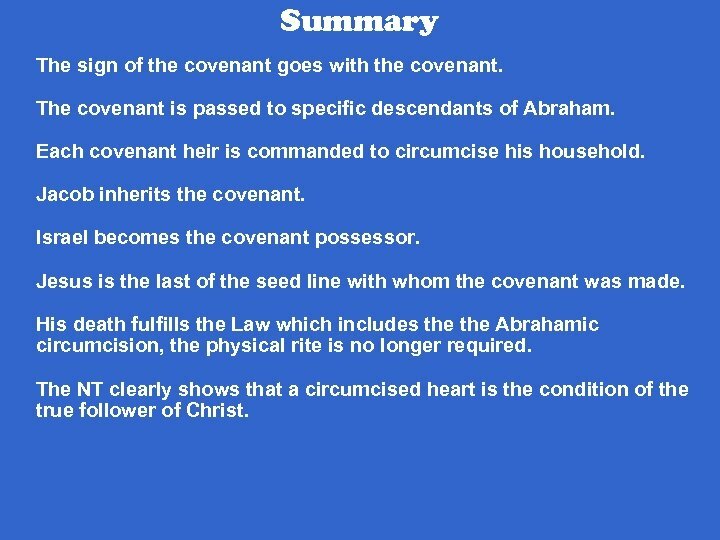 The command to circumcision applies only to the covenant heir (the one possessing the covenant) and stops at Jesus. 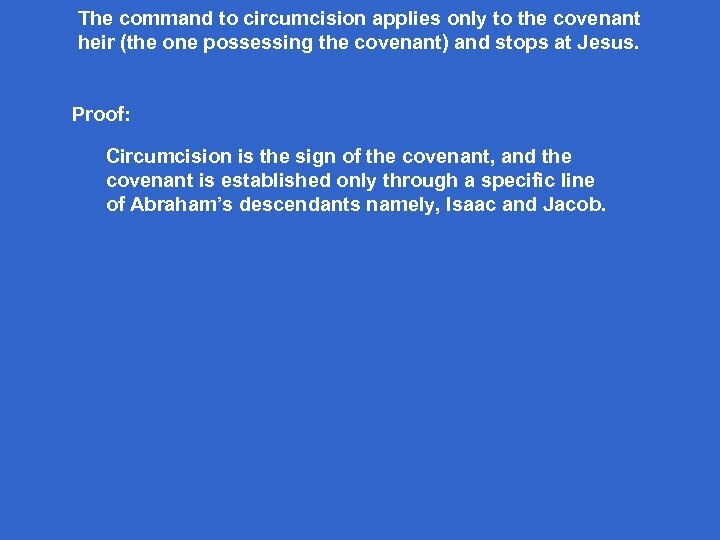 Proof: Circumcision is the sign of the covenant, and the covenant is established only through a specific line of Abraham’s descendants namely, Isaac and Jacob. Genesis 25. 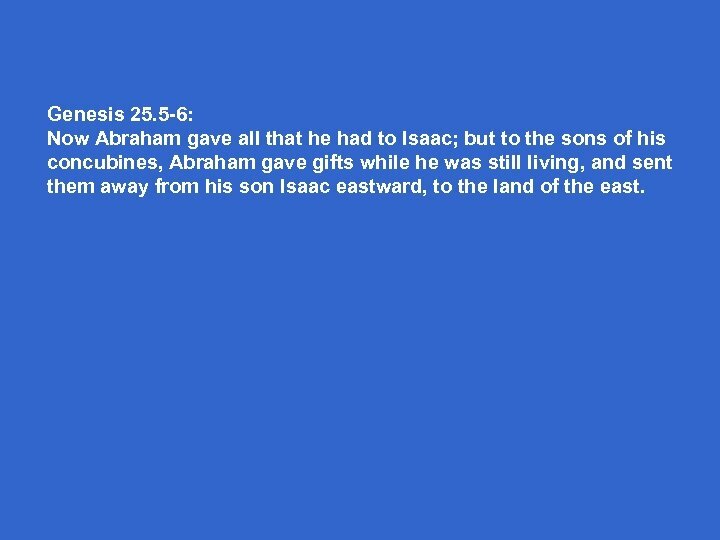 5 -6: Now Abraham gave all that he had to Isaac; but to the sons of his concubines, Abraham gave gifts while he was still living, and sent them away from his son Isaac eastward, to the land of the east. 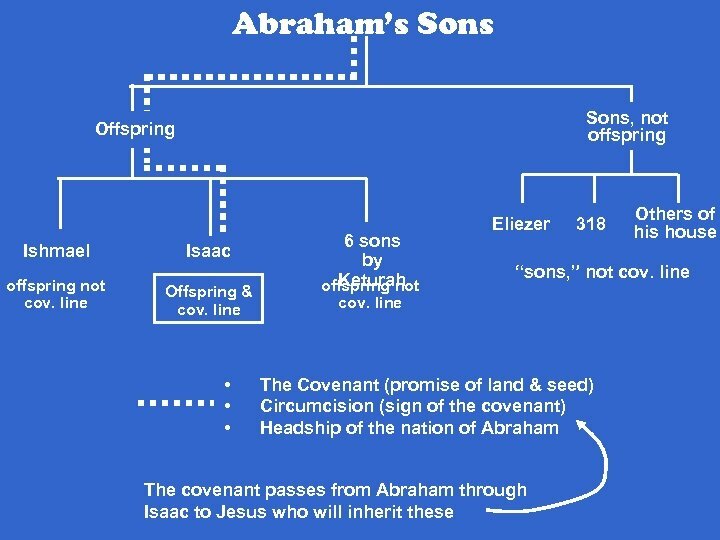 Ishmael, Abraham’s first-born is a clear example of a physical descendant of Abraham who is not of the covenant line. By the same reasoning, neither are those of Galatians 3. 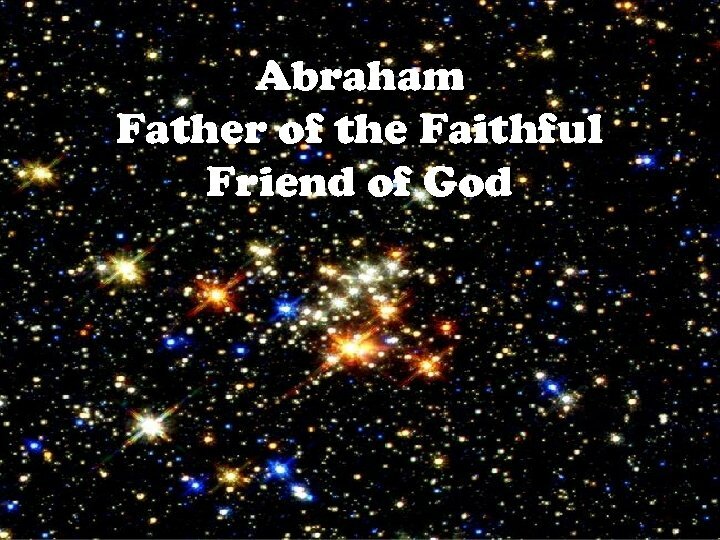 29: And if you belong to Christ, then you are Abraham’s offspring, heirs according to promise. 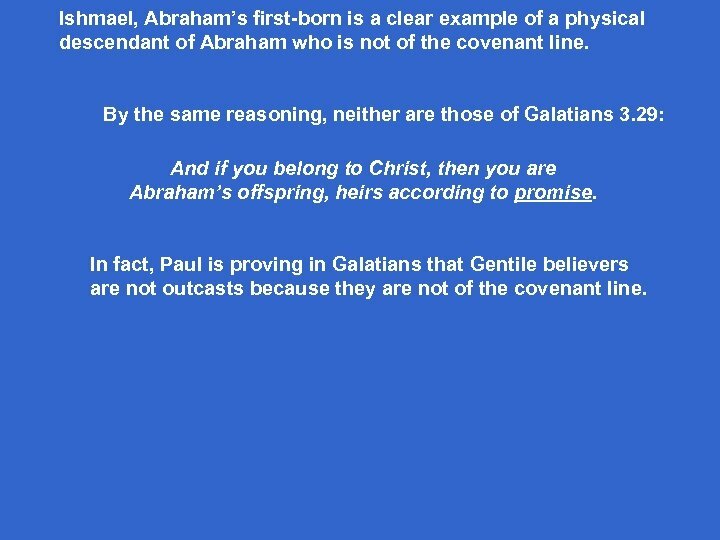 In fact, Paul is proving in Galatians that Gentile believers are not outcasts because they are not of the covenant line. 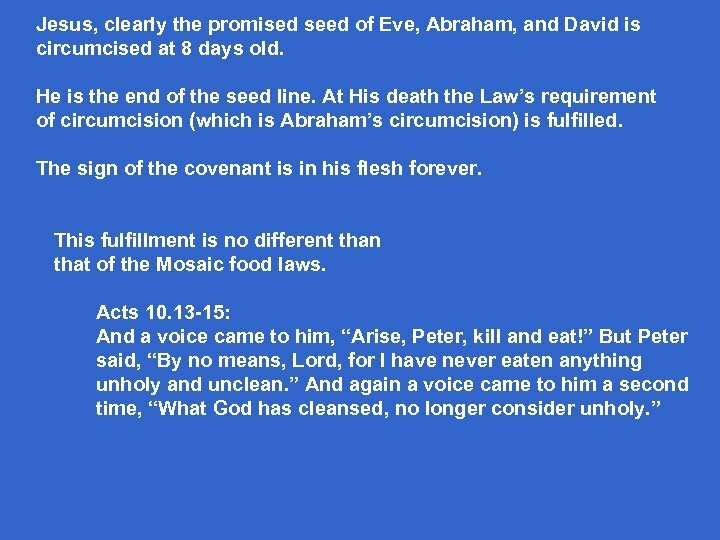 The requirement of Circumcision moves with the covenant. • Abraham is required to circumcise every male in his household. • Isaac is required to do the same. • Jacob is required to do the same. Once Jacob becomes the keeper of the covenant: • • He is renamed Israel. His household becomes the nation of Israel (Abraham’s nation) As with Abraham’s household, all males including foreigners living with Israel were also required to be circumcised. This is why God was so angry with Moses for not circumcising his son. • The nation is given the ML which includes Abraham’s circumcision. God chose Israel to preserve the covenant and used the Law to insure that Jesus would be circumcised. Romans 4 explains why the Abrahamic circumcision was included in the Law. Just as the commandment to keep the Passover was fulfilled in Christ. Since His death, Christ Himself is the Passover Lamb. 1 Corinthians 5. 7 -8: Clean out the old leaven, that you may be a new lump, just as you are in fact unleavened. For Christ our Passover also has been sacrificed. 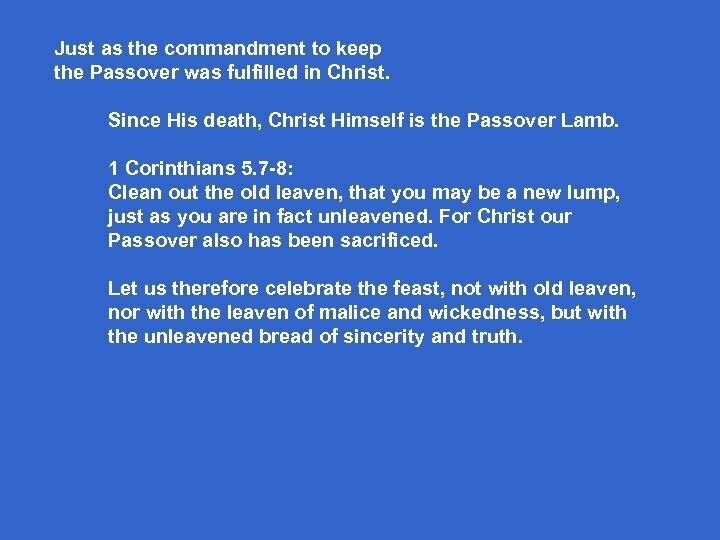 Let us therefore celebrate the feast, not with old leaven, nor with the leaven of malice and wickedness, but with the unleavened bread of sincerity and truth. Why the different treatment of Titus and Timothy? Titus was a Greek, Gal. 2. 3 If Titus was not expected to be circumcised, neither are Christians today. Timothy was a Jew born before the death of Christ. Though his mother was a believing Jew, his father was a Greek whose faith is never mentioned. His father failed to circumcise him. His credibility among the Jews they were trying to evangelize would have been greatly compromised. Knowing his father was a Greek and had not circumcised him, Timothy would have been looked upon as Moses in Ex. 4, having no regard for Abraham’s circumcision. Summary The sign of the covenant goes with the covenant. 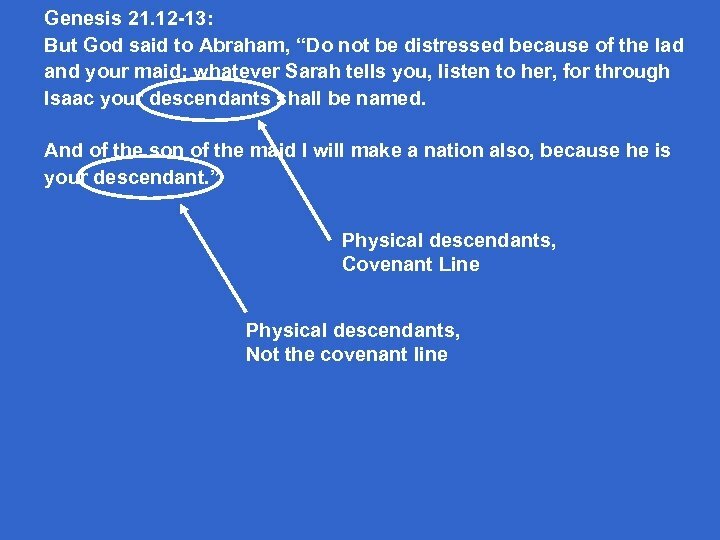 The covenant is passed to specific descendants of Abraham. Each covenant heir is commanded to circumcise his household. Jacob inherits the covenant. 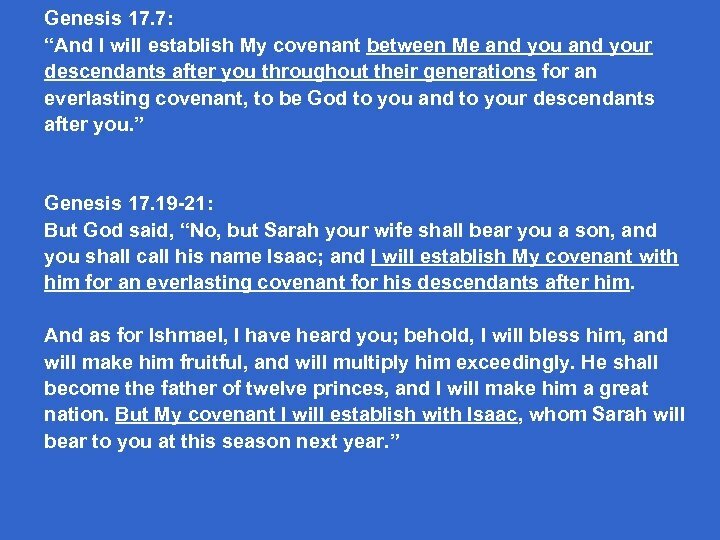 Israel becomes the covenant possessor. Jesus is the last of the seed line with whom the covenant was made. His death fulfills the Law which includes the Abrahamic circumcision, the physical rite is no longer required. The NT clearly shows that a circumcised heart is the condition of the true follower of Christ. Новый год- это сказка! Великий Устюг.